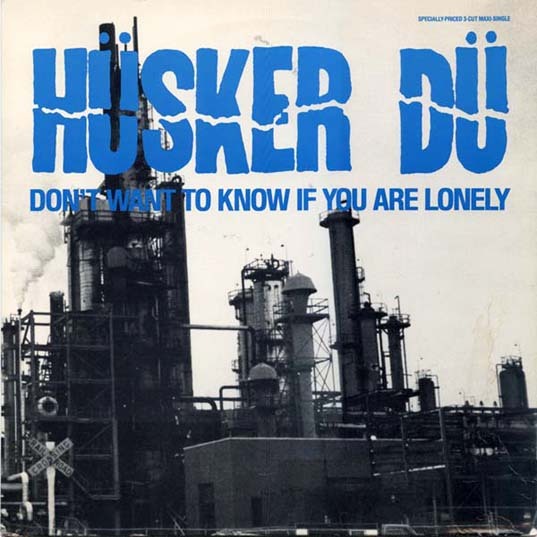 Trestle bridge and refinery whose respective images graced the covers of the Sorry Somehow and Don't Want To Know If You Are Lonely EPs. 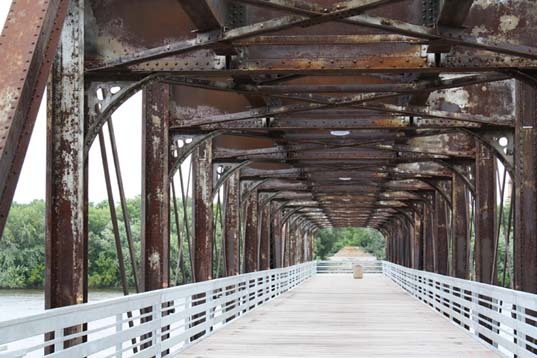 The bridge, known as the Rock Island Bridge, once spanned the Mississippi between Inver Grove Heights and Newport, south of St. Paul. 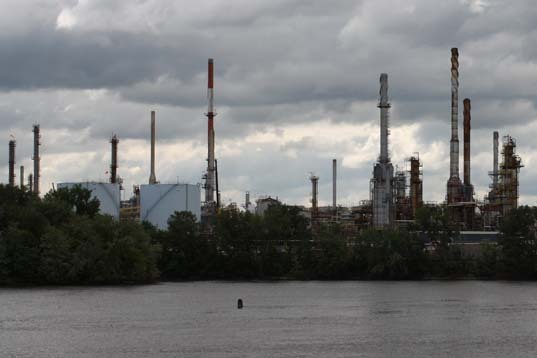 The refinery sits on the Newport side of the river. The bridge, in obvious disrepair and off limits to the public when the above shot was taken in May 2008, was of the swing type, with its rotating section by then left permanently open as seen above, in order to permit free flow of river traffic. It was closed to trains in 1980 and to motor vehicles in 1999. In Dec 2008, a few months after this picture was taken, the Washington County commissioners voted to demolish the bridge after a partial collapse revealed that the infrastructure was in worse condition than had been believed. (Another article here.) Before the demolition was completed, however, the city of Inver Grove Heights managed to scrounge funds for a partial restoration to preserve the structure as a historic site. What remains of the bridge after a partial collapse and a destructive fire was reopened as a pier in 2010. 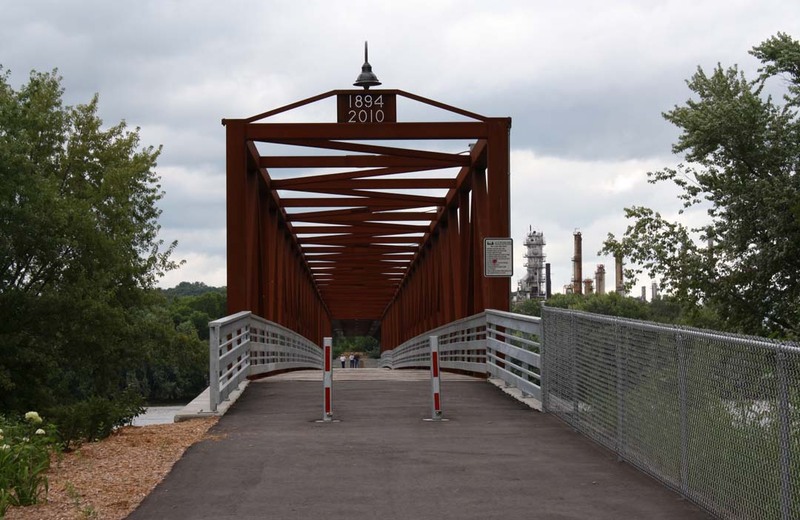 The two pictures immediately above were shot in August 2011, by which time the now severely truncated bridge, its swing section gone forever, had been restored and reopened to the public. The refinery picture does not match well with the EP artwork, presumably because the shots were taken from different angles. 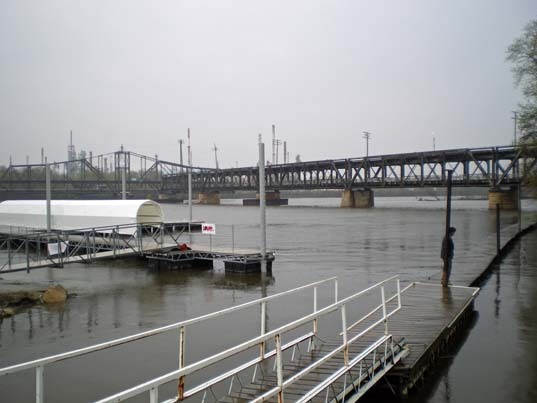 Above: The bridge site in 2011, with the refinery visible across the river in the background. Despite the optimism expressed on the bridge's new webpage, its ability to draw tourists is dubious. No signs or markers on the main road advertise its presence, and it's not particularly easy to find. In case anyone would like to visit the site, however, be aware that its location is essentially an eastward extension of 66th St E.